Starting your own compost pile can save you money on your garbage bill, reduce the waste you send to the landfill, and will give you your own organic compost that you can use to amend the soil in your garden beds. This is a guide on starting a compost pile. Composting recycles organic matter into a nutrient-rich soil amendment. Although the finished product is a complex mixture of organic matter, bacteria and enzymes, the process of making compost isn't complex at all. It's just a great way to improve your soil while doing something useful with your kitchen and yard waste. Double or Triple Heap composting: The most popular way to compost is called Double (or Triple) Heap Composting. Also referred to as "cold" composting, it is a slow but practical method to produce compost and requires little effort on your part. Start by building one compost heap to which you gradually add kitchen scraps, weeds that haven't gone to seed, tree trimmings, and garden wastes until the heap stands 3 feet high. This may take several weeks. Each time you add new materials to the heap, turn it to mix and moisten the existing materials. When the first pile reaches 3 feet high, start a new one right next to it. Each time you add materials to this pile, cover it with a shovelful or two of almost-finished compost from the first heap. This way you are constantly adding your own custom-grown "activator" to your compost. If you want to, add a third pile into the mix so you have three piles in various stages of progress. When you need compost for your garden, take the finished product from your oldest heap. Turn the heap to let in more air and sprinkle some water on the dry pockets. Add more nitrogen-rich materials like grass clippings, or sneak in a few cups of dry dog food (it's high in nitrogen). Pile on more debris until the pile reaches at least 3 feet high and 3 feet wide. Heat things up for a few weeks by covering the top of the pile with a black plastic tarp. Hot Composting: Many avid composters argue that the very best way to make compost is through a process called "hot" composting. 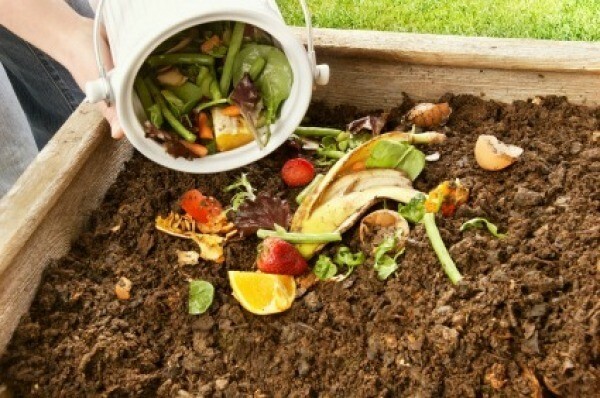 The advantages to hot composting are the speed at which the compost is finished (usually several weeks vs. several months), and the high temperature of the pile (above 130 F), which will kill most weeds, insects, and plants pathogens. The downside is that it requires slightly more work (turning the pile and monitoring the temperature), and you may need to "inoculate" the first pile with microorganisms to get it off and running. "Cooking" the pile: Start by layering equal amounts of brown and green organic matter until you create a compost pile that is 3 feet tall and 3 feet wide (each layer should be 4 to 6 inches thick). Moisten the pile as you build it and allow it to sit for three days. 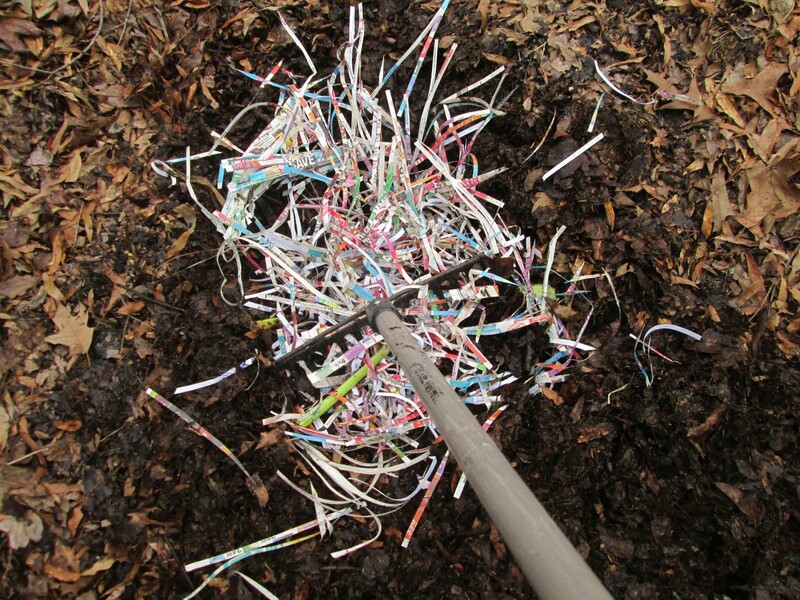 Then use a pitchfork to turn and re-moisten the pile. As you turn it, try to move the material from the outside of the pile to the inside of the pile. Turn the pile again five days later. At this point you should feel heat radiating from the pile as you turn it. Wait one week and turn the pile again. After the third turning the temperature of the pile should be sufficient to create finished compost in another 4 to 6 weeks. This composting method uses one or more specialized species of earthworms (not the big, burrowing types that live in garden soil) to turn organic wastes-especially kitchen scraps-into high quality compost. The worms are housed in specially designed boxes (usually kept indoors) and fed kitchen scraps, shredded newspaper and cardboard. 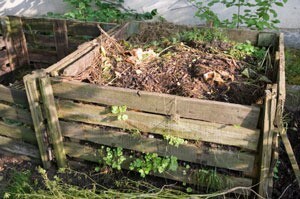 The finished compost is made up entirely of worm castings and has been shown to be higher in nutrients than compost produced by other methods. Read more about vermicomposting here. The secret to making good compost is getting the right ratio of materials and keeping them evenly moist. When adding materials to your pile, your goal should be to create a mix containing 50% brown materials (rich in carbon), 30% parts green materials (rich in nitrogen) and roughly 10% garden soil. Then add a little water to the mix to encourage activity by insects, earthworms, fungi and other microbes. Finally, add a little high-nitrogen fertilizer (e.g. a few scoops of dry dog food) to jump-start composting activity. If you are creating a "hot" pile adjust the brown/green ratios to 2:1, adding in water as needed. Instead of adding garden soil, you may want to add in a commercial supplement of microorganisms to get your pile started. After that, keep a small amount of finished compost on hand to use as an inoculant for subsequent piles. Your compost is ready to use in the garden when its temperature is cool to the touch, and it has an earthy smell and crumbly texture. To help prevent the enzymes and micronutrients in your compost from leeching out with rain water, cover the heap with a sheet of plastic. Problem: The pile smells like sulfur. Cause: A pile that smells like "rotten eggs" is either too wet, or lacks oxygen. Solution: Aerate the pile by turning it over and letting it dry out a bit, and then add more dry materials. Problem: The pile smells like ammonia. Cause: This is usually due to fermenting food scraps lying on top of the pile. Solution: Turn the pile and add additional carbon-rich (brown) material such as leaves. Problem: The pile smells like sewage and is attracting flies. Causes: This is most likely the result of too much nitrogen. Solution: Turn the scraps to the center of pile, and cover them with a layer of garden soil or brown matter. Our neighbors think we are very odd people when we save grass clippings, leaves, discarded fruit and veggie peels, and now shredded newspaper clippings. Composting is an easy, inexpensive way to reduce your yard and kitchen waste, while keeping your garden filled with nutrient-rich soil. Keep your compost pile neat and trouble-free, by preventing these common problems before they arise. 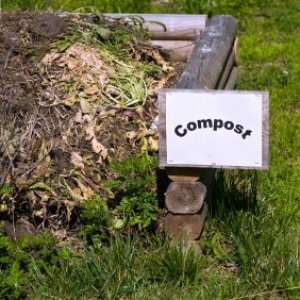 Tip: How do I make my own compost? How do I make my own compost? Composting doesn't have to be complicated. There are really no hard and fast rules, but here are some tips for getting started. Find a convenient place near your garden to start a pile. A layering method first devised by Sir Albert Howard in 1931 while he was doing studies in India. What is Compost? Compost is the end result of the decomposition of organic material, or waste. This occurs naturally in the bush, or a forest, by the accumulation of debris from plant and animal material; and provided there is moisture present, decomposition will occur. Do you throw your Tim Hortons' cups in the recycle or garbage? I found out that they can be composted. So I rinse them out and place one at a time, inside my small compost container, and use them for soggy things like tea bags and coffee filters, oatmeal too. Composting adds free organic material to your garden which helps the soil retain and drain water and encourages healthier plants. Here is an easy way to compost. Tip: What is an Activator? Used in composting to stimulate biological activity. Because they are usually high in nitrogen, activators feed microorganisms; they might also contain other decay organisms that become introduced to the compost via the activator. A quick and easy compost method if you don't have manure but do have a good supply of grass clippings. Grass is quite high in nitrogen. Mix one part of sawdust with four parts of fresh grass clippings. During the winter I set a large trash can outside my kitchen door. I place my food scraps (compostable ones) in this during the winter. There is no smell as it rarely gets above freezing in Vermont during the winter. I need some ideas to start an economical compost pile. You can compost in a pile on the ground if you want to and you don't have pets or kiddos that will "get into it". As far as what goes into it, you don't have to spend any money really: peelings, leaves, etc. You should have some sort of a can to put your items in to compose to keep critters out of it. All you need is to put vegetation matter in to the pile. No animal items such as meat,fat,milk etc. and the pile should be turned from time to time. What the other two posters failed to mention is you want to turn your compost with dirt in it. You also should make it damp before you turn to get the moisture mixed into the compost. Don't soak it down though. Just make it damp. I would suggest if you are not going to get something to turn your compost in that you get a couple buckets. Start your compost in one bucket till it is half full. Then dump the contents into another bucket sporadically with dirt. When the bucket is full set it aside till you have another half bucket. Now pour that bucket into a third bucket along with portions from the first bucket. The bucket method is kind of difficult but do-able. What would be better is if you have a hole or a slight depression in the ground to pour and mix your dirt and compost materials. Make it damp and turn it as needed. Keep something heavy over the compost pile to prevent unwanted scavengers. My dad used to use his old bass boat and kept a tire on it to keep it in one place. Very few things would bother with it. Check with your city waste services. Here in Phoenix, they take the big barrels used for trash pickup, when they are no longer usable for that, drill holes in them, remove the lids and sell them for a small amount ($10 the last time I bought them) and I think they also came with some kind of compost starter. Compost is black gold for the garden. Especially good in compost is coffee grounds as the worms love them and your soil loves the worms. Even though your question and all these comments are about starting the pile, there is something I want to add to get a running start. Right this minute, start saving egg shells and all peels you make like from carrots, cukes, apples, celery etc. so they can be added to the pile once you start it. You can easily do this by taking an empty large coffee can, with a small hole punched into the plastic cover (for air), and having it right near the kitchen counter. I started my compost by purchasing several bags of inexpensive dirt from Home Depot. I think they were on sale for about 3 bucks a bag. I have a Ninja blender that I use to chop up all the peelings, ends of zucchini and squash, apple cores, egg shells and etc. It's all chopped really fine and composts fast. The critters don't pay any attention to my compost pile cuz the pieces are so small they just disintergrate into good dirt. I also went to a local store that sells live worms for fishing bait and bought a container and set them free in my compost pile!! No harm in helping the worm population get started. *L* Beats the heck out of getting impaled on a hook! Question: Does Table Waste in Compost Attract Animals? If using table waste in the compost pile does it attract animals to feed from it? I am concerned that table waste will attract mice, rats, raccoons, etc. If so it seems that this would give the critters access to the vegetables in the garden as well. I compost a lot at home and use all table waste with the exception of meat, fat or dairy. In fact, my family, kids and husband, all are now used to putting the "waste" into the compost container instead of the garbage disposal or trash can. I haven't had a problem with critters. Maybe because I always cover my table waste with a thick layer of soil or compost that has ripened. If it's covered well, critters will usually not bother. Hope this helps! I've never had any problems with critters or creatures disturbing my compost and I use all kinds of kitchen food scraps. I never compost meat or bones. Just be sure to cover each new addition of table scraps with the other composted materials or some dirt. That ensures that there won't be any odor. My compost bin is located not far from my back door and I've never had any problems with odors or critters. Good luck with your composting efforts! It's very worthwhile and makes a fantasticly rich addition to veggie garden soil. If you are really worried about "critters" take a storage bin (any size - from W-M or home store)and poke some holes around the bottom, sides, and top and use it for your compost. Just turn the thing over (and side to side) often. I have a wire cage I use and have never had critters bother it. Can't convince my husband though! Thanks to all who responded to my concern. It seems that if done right critter problems are few. I will give it a go and see how things turn out. Thank you everyone. How do I set up an organic compost bin? 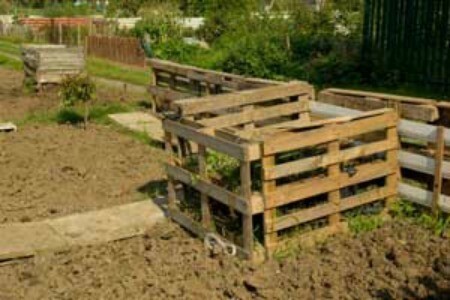 Can anyone tell us what do you use to start a compost bed? We are trying to start a compost but are not sure what to put in it. Thanks in advance for all your help. I started my compost pile with cheap potting soil. 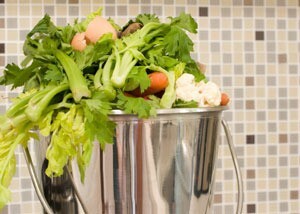 I add vegetable scraps, grass clippings, dead leaves, used coffee grounds, used tea bags, fruit peelings, and egg shells. Do not use fish or meat in the compost pile. I also bought a compost accelerator from Lowe's. It is a granule substance. Water the pile and turn it on a regular basis. I have mine in a plastic tub. Make holes in whatever you use so the water can drain out and the compost can get air. All of the above, plus grass clippings and leaves. A lot of articles tell you to add shredded newspaper, black and white, not colored. Starbucks gives away coffee grounds, they are GREAT in compost. I cold compost too, but you'll get results much faster if you cut it all into small pieces. I find this is just too much trouble, but it is a good idea. Do a search on Thrifty Fun and you will find lots more information. Anything organic goes, no fats or anything from a carnivore. Egg shells ground up are good too. Coffee grounds are good, but too many can make your compost acidic. Instead of greens and browns think of wets and drys and try to layer them alternately.